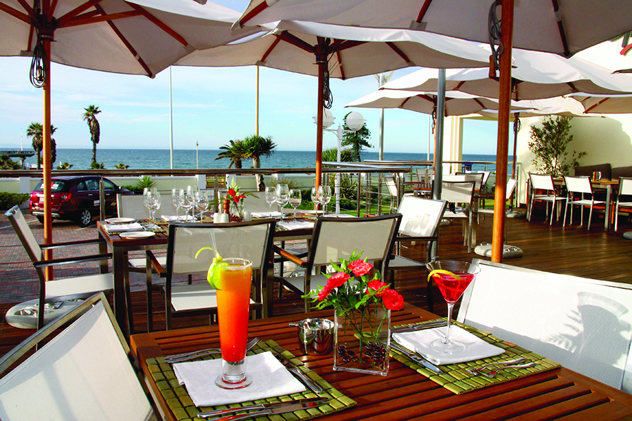 Whether you’re in this part of the world with the family for the last gasp of the summer break, or are lucky enough to live there, here’s our pick of the best restaurants to visit in East London, Port Elizabeth, Jeffreys Bay and the Sunshine Coast. These restaurants were rated highly enough by our panel of critics to make it into the latest issue of Eat Out magazine, which is on sale now. Want to give some shine to a little neighbourhood gem not mentioned here? Let us know in the comments. This is a bubble above a busy roadhouse and bus terminal in town. 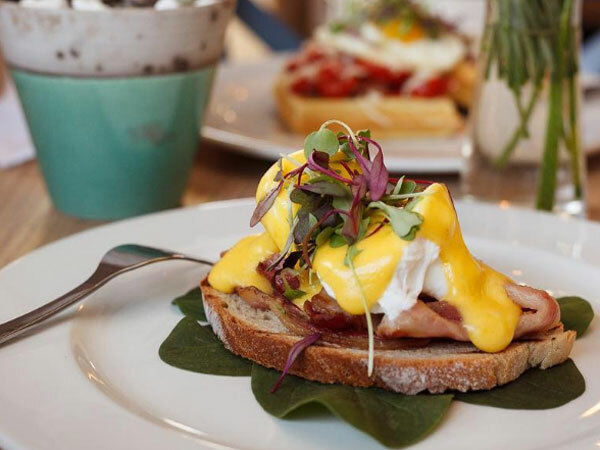 Start with the Posh Englishman eggs Benedict or design your own omelette. Later on, the grilled rump wrap might fill the gap; else a squid salad, delicious burger with onion rings, or the peri-peri chicken pizza straight from the oven. The meze boards and baskets are perfect shared over a drink. For dinner there’s a dizzying list of steaks, sauces and toppings, but the slow-roasted lamb shank may trump them all. Finish with Death by Chocolate or the Nutty Berry shake, featuring vodka, peanut butter and strawberry purée. On Sundays a breakfast buffet keeps the family happy. This is food for sharing, for tasting, for assembling yourself, for long lunches, for nibbling away on the awesome flavours. We’re talking burritos, nachos, quesadillas, fajitas and tacos with refried beans, chipotle sauce and pickled pink onions. Vegetarians have so many options! Do keep space for churros. Sip on massive margaritas, an impressive line-up of Mexican beers, and milkshakes. The space is lively – a riot of colour with an open kitchen. 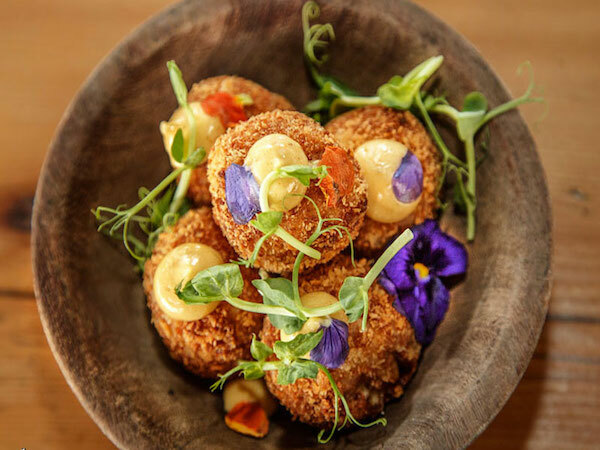 The menu showcases reinvented comfort food, such as Wiltshire pork sausage on mash with onion gravy, or creamy salmon-and-pea risotto, but presented so beautifully you have to stare at your plate for a moment before tucking in. What this place really does well are dry-aged steaks with sauces like confit garlic butter and peas, cream and bacon. End on salted-caramel mousse or lemon curd with meringue shards and cinnamon ice cream. Craft beers on tap, craft gins and cocktails keep customers hydrated. Pop in next door to The Milk Shed for pre- or post-dinner drinks. The Cow Shed steak, chips and red wine. Photo supplied. Hefty portions and consistent quality define this long-running restaurant. The duck spring roll, arancini and snails with blue cheese sauce will calm down the most ferocious hunger until silky pasta and feather-light gnocchi arrive. Pizzas are crispy and loaded with flavour. 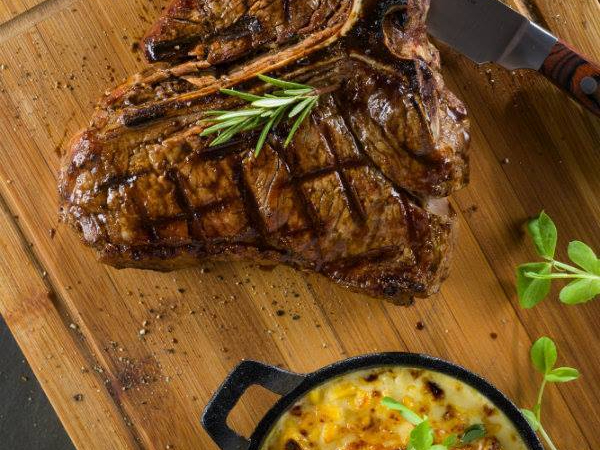 With the ocean right here, seafood is a must, but steaks with crispy veggies will please the carnivores, too. The art of the malva pudding has been perfected here. The expansive deck is unbeatable on a summer’s day or quiet evening. A comprehensive day menu includes delicious breakfast options like poached egg on rösti with lemony Hollandaise sauce, and killer Reuben and club sarmies, interesting wraps and salads are available as takeaways. (Handy for the clientele at this business park.) 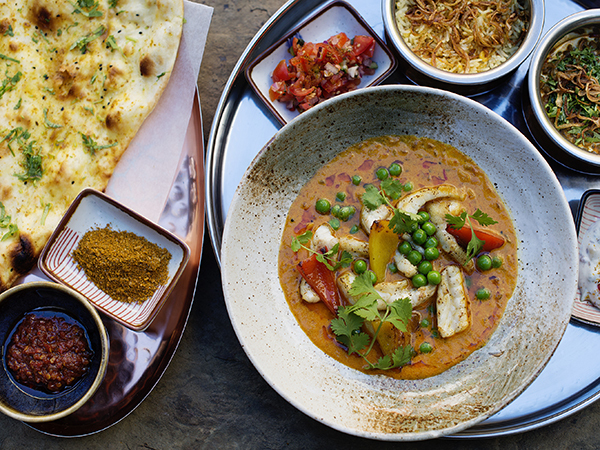 For a substantial lunch, order lamb’s liver and onions, prawn crevettes, chicken tikka or vegetarian chana dhal. Banting-friendly options also appear. The dinner menu is divided into French cuisine and glorious Indian food. The drinks menu offers healthy shakes, smoothies and juices, and a show-stopping list of off-the-beaten-track wines, fantastic whisky and gin. This sophisticated little eatery buzzes with passion, rolling out meals that are big on flavour and superbly crafted. The rosemary-and-garlic flatbread and chunky tomato ciabatta are great beginnings. Check out the Moroccan-spiced chicken salad, a tapas board with cheeses and charcuterie, and awesome burgers and pizzas. From the grill, the fillet with marinated cherry tomatoes and the honey-mustard sirloin are equally delicious. Finish with a retro banana split and you’re good to go. They offer gluten-free and carb-free meals, too. 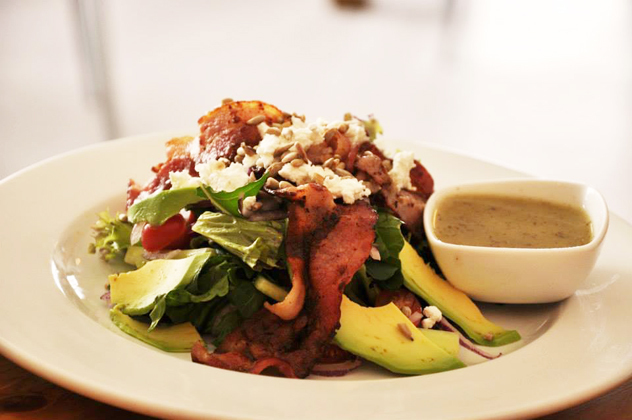 Bacon and avo salad at Sanook Café. Photograph supplied by the restaurant. Look forward to a wide variety of beautifully presented sushi that’s small on rice and big on the quality stuff. Also tuck into authentic Shanghai cuisine such as legendary brinjal fritters, sizzling lamb or succulent chicken with cashew nuts. For special occasions, pre-order the amazing Peking duck with plum sauce. Deep-fried banana and ice cream is an apt send-off. As for drinks, there are delightful wine options, Asian beers, sake and teas. Take care of hunger pangs with cold tapas; peri-peri chicken in tomato sauce; focaccia with gorgonzola and caramelised onion; or fillet with brinjal, mozzarella and gremolata. Pub-lunch pot pies and burgers are great, the latter served with thick, hand-cut chips. Keep space for the Belgian waffles with dark-chocolate stout ice cream. This microbrewery sports six amazing brews for quaffing. The steam-punk interior spills out onto the river bank. Look out for live music evenings. 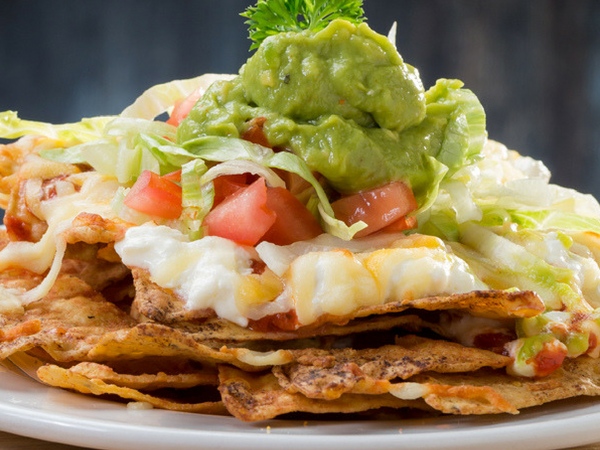 Arrive really hungry for top-quality ingredients and substantial portions. The starter line-up features a carpaccio platter of warthog, springbok, crocodile and ostrich, or phyllo wrapped around spinach and feta. Keep it light with seafood salad or delicate sole. 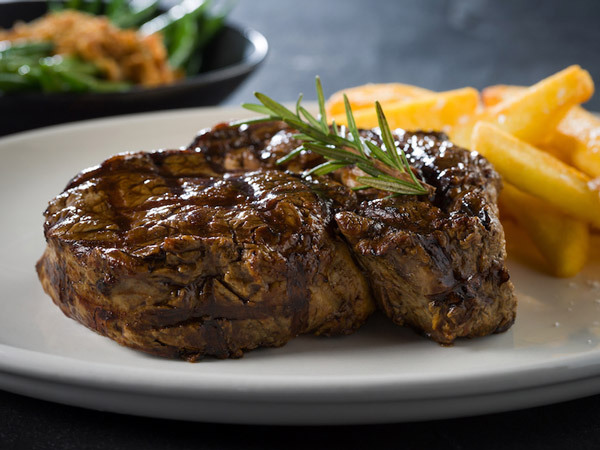 Glorious lamb dishes vie for attention next to wild boar, a venison trio with rooibos sauce, brilliant beef fillet medallions in brandy-pepper sauce, and a hefty T-bone. For sweets, the drama of the crêpes Suzette is unbeatable. The ambience is warm, old-world and stylish here; settle in for a lingering, memorable occasion. When in doubt, start with a martini! The food is as intricate and fantastic as always, and ingredients are meticulously sourced. 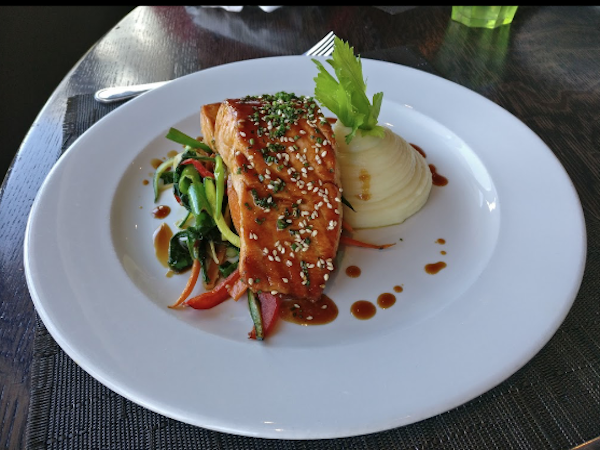 The photogenic seared salmon su-miso tastes as magnificent as it looks: juicy, thick slices and a subtle sprinkling of Szechuan pepper. From the tapas menu, the brinjal shrimp toast is a winner. The sushi plates are perfect little works of art, especially the likes of the Dragon Roll. Also try the exotic spicy blue crab with a little kimchi salad. Sip on carefully selected wines, unusual craft beers, whiskies, sake and teas. No-frills minimalist décor is brightened up by flashes of red and the energy of chefs deftly wielding their knives. Inventive starters such as salmon cured with chamomile or beetroot-and-chocolate risotto always appear here. Move onto fresh fish of the day with capers, lemon and feta; roast veg Wellington, accompanied by tapenade, smoked moutabal and ratatouille purée; seared tuna with vanilla puttanesca; and biltong beef fillet with biltong, vanilla mash and honey-and-cumin carrots. Don’t say no to a sweet ending of roast ginger-and-thyme brûlée or strawberry-cranberry cheesecake. There’s a detailed and exciting wine list, artisanal gins and cocktails. The veranda is first prize in good weather. A view of the ocean at Ginger The Restaurant. Photo supplied by the restaurant. This space has a glorious garden setting with a wrap-around veranda. If you can resist the pastries (the pain au chocolat is heavenly) you might try porridge with Nutella and roasted hazelnuts or the perfect Veranda Benedict. For lunch, the poached quince salad with gorgonzola and roasted pecans is fantastic, as are home-style pies and seasonal risottos. Vegetarians will love the falafel burger with avo and tzatziki or flatbreads with brinjal, balsamic glaze and goat’s cheese. They can also do dairy and gluten substitutes and carb-free options. The cheesecake is unbelievable. Boutique wines, coffees, fresh juices, and exceptional milkshakes and teas will slake your thirst. Where to start – pain au chocolat, pasteis de nata, superb coconut loaf or toasted croissant with poached egg, smoked salmon trout and lemon-butter sauce? For lunch, opt for a pissaladiere (cauli bases available, too), home-made pies or pulled-pork alfredo. Little ones with love the funfetti waffles. Wash it all down with craft beers, cocktails, wines and Belgian hot choc. 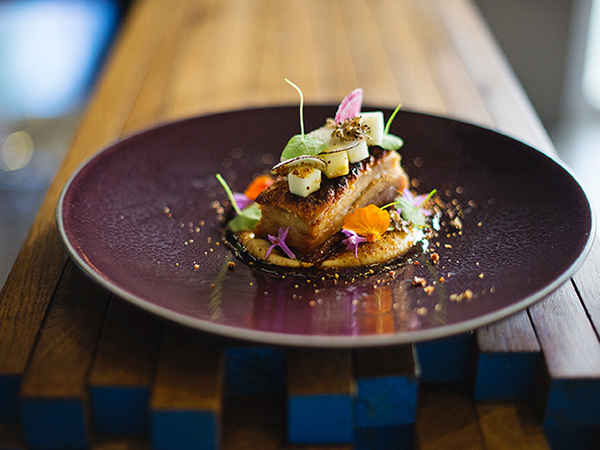 Vovo Telo is located inside a beautiful Victorian building with wonky wooden tables. Fresh and abundant seafood commands centre stage. Find a spot at benches and tables with the sea lapping at your feet. The decadent platter with sauces and extras upstages many other options, but you could also keep it simple with calamari or delicious grilled fish. The lamb shank, oxtail, ribs and even a crocodile sosatie fill the gap for carnivores. As for dessert, how could you refuse a Peppermint Crisp tart or koeksisters? Your favourite wines are served in enamel mugs, or you’re invited to pour your own moerkoffie. This is real South African hospitality. Using mainly organic ingredients, the kitchen turns out delicious eggs Benedict on potato parmesan cakes, chicken livers in herb butter, and glorious croissant French toast. The spicy shakshuka is great for cold mornings, whereas kale and quinoa with grilled halloumi, avo, yoghurt and a poached egg is just the thing before hitting the famous J-Bay waves. Jams and jars of take-home temptations line the walls, not to mention trays of fresh breads and pâtisserie, charcuterie and cheeses. The deli caters for vegans, vegetarians and banters, too. The open-plan kitchen in this beautiful space produces light meals and mouth-watering pâtisserie. Innovative dishes such as the Turkish breakfast bowl, and sweet (fig, banana and bacon) or savoury Bolognese, camembert and caramelised onion French toast make great brekkies. Lunchtime could see you enjoying a hearty pulled-pork roosterkoek; a salad of blue cheese, greens and almonds; or tempura hake strips. Try a wedge of Cynthia’s famous layered cheesecake or the carrot, baby marrow and cranberry cake with curd and cream cheese. A beautiful view is showcased by sliding glass walls. Jewellery, homeware and books are on display and for sale. An exquisite experience awaits the lucky few who turn off onto this gravel road. The menu changes with the seasons and according what the local fisherman, farmer or hunter deliver. Think lamb en croute; fennel-brined roast pork loin on bubble and squeak; or salted caramel-and-chocolate pie, perfectly balanced with tart rhubarb and vanilla chantilly cream. You could be treated to monkfish scampi in beer batter one day and smoked duck the next. Each plate is a work of art. 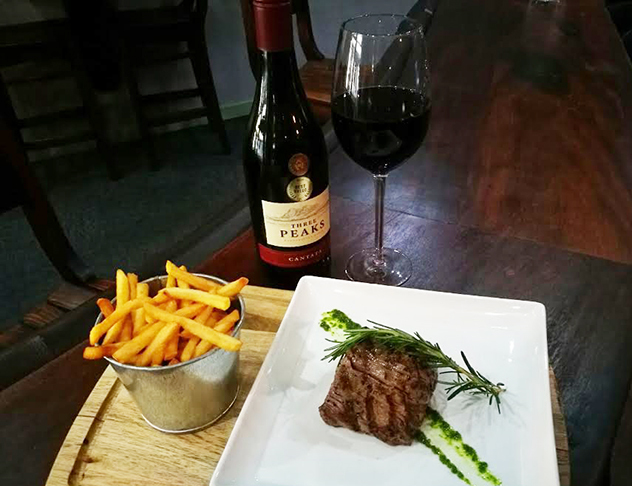 Exquisite wines from Thelema complement the food. The beautifully restored Edwardian homestead features antique crockery and a garden with lavender and roses. Why not stay overnight in one of the lovely cottages? If the wind blows you through the doors of this historic building, smile and know that you’re in for some of the best food in Port Alfred. Start with garlicky snails in a phyllo basket, cognac-cured gravadlax and wasabi sour cream, or black mussels are steamed in cider, garlic and turmeric. 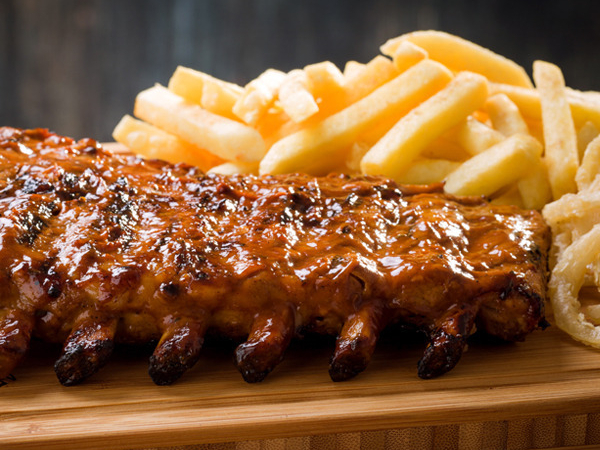 For mains, go for the pork spare ribs – and use your hands. Someone at the table must have the pepper rump, and there’s a glorious brinjal-and-courgette bake for vegetarians. Sweet options are a toss-up between the moist chocolate stout cake and chocolate crêpes flambéed with caramel vodka. Products of the adjacent microbrewery, Little Brewery on the River, include a delicious pilsner, ale and excellent stout. The name missing from this list is Muse in Port Elizabeth. Always a remarkable dining experience from the fresh baked bread start through to the decadent desserts. As a vegetarian I am always delighted to find options that are unique and full of flavor. A must to visit. We then share some of those that made it as lists on our site – which is how these places were picked.